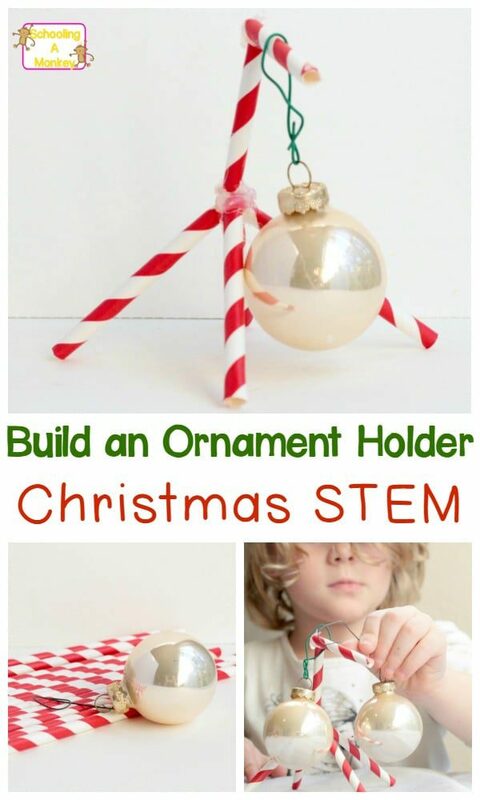 Preschool Christmas activities are a blast, especially when they include engineering activities for kids! 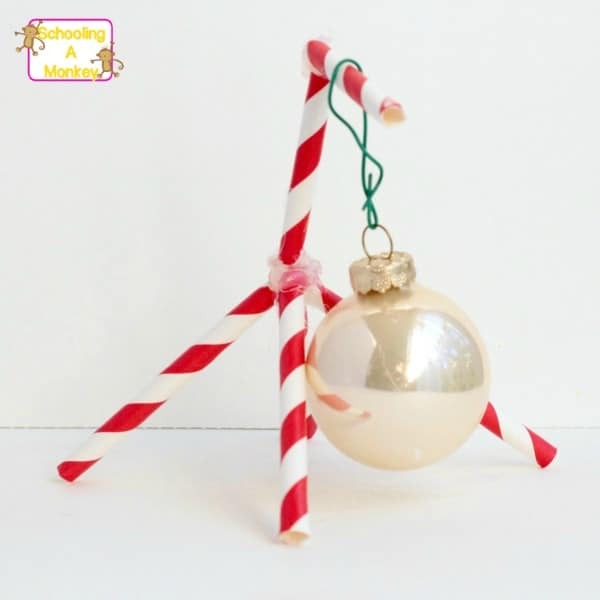 Preschoolers will love making a holder for Christmas ornaments. Preschoolers love creating and building. Bo (currently 3 1/2) especially loves building different structures and seeing how high she can build something. 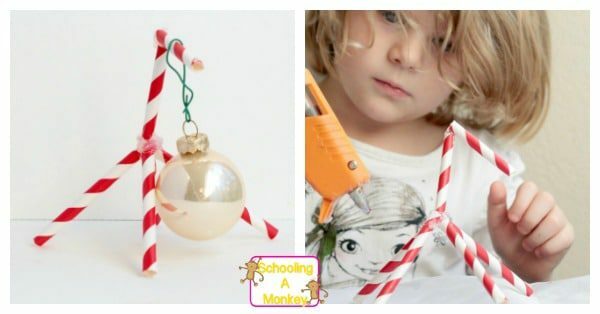 I knew she would love these preschool Christmas activities because they are building-themed. 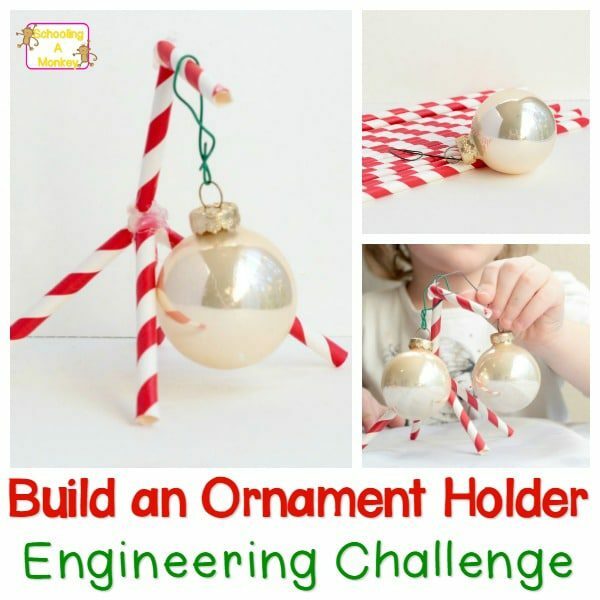 I created a Christmas STEM challenge for Bo challenging her to create a stable ornament holder for a Christmas ornament using drinking straws. She had a fun time creating her STEM activity design and even Monkey joined in the fun! 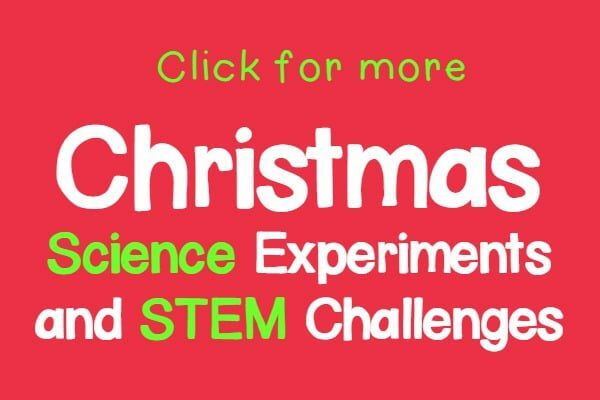 The goal of this STEM challenge is for preschoolers to design their own structure to support a Christmas ornament. You should let preschoolers make their own designs and only offer suggestions if they ask for help. Bo came up with this design all on her own and only had to ask for my help when holding the structure up to glue. She was so proud of her design once it was completed. There isn’t much to this activity at all. You can provide just drinking straws for kids to use or offer a variety of materials for the kids to work with. We kept things simple by using just straws. 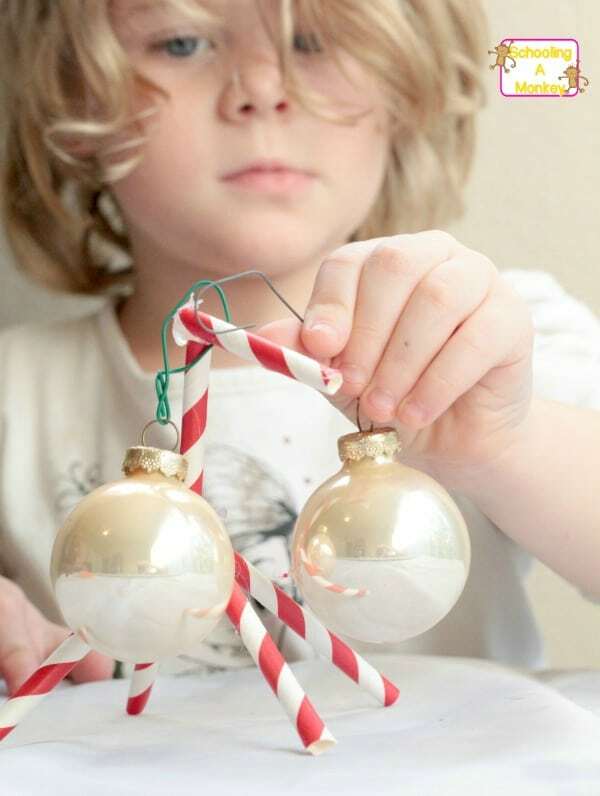 Talk about what a structure needs to be stable and how it won’t be able to hold the weight of an ornament if it isn’t stable and doesn’t have the right amount of support on the top and bottom of the ornament. We used an ultra low-temp glue gun to prevent burned fingers but still allow for a fast drying time. Bo tried hanging her ornament too soon and the top part of her ornament holder fell off. We talked about waiting until the glue dries fully to test out a design. 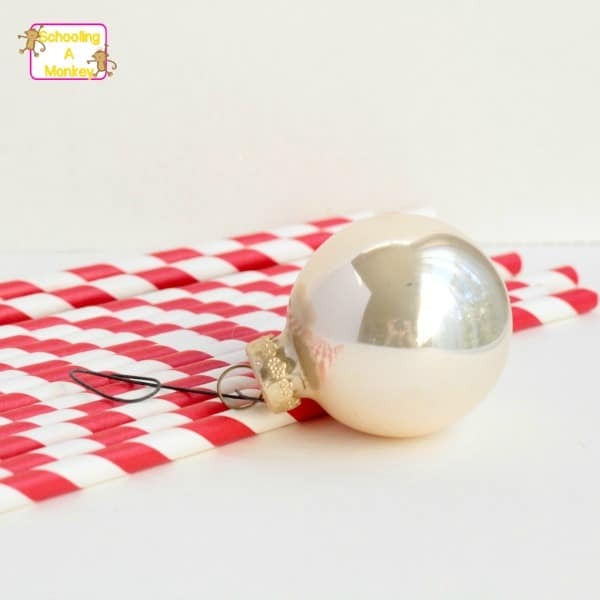 In a large group, kids will come up with a variety of different designs for holding their ornaments. Even Monkey tried creating a design to support an ornament, although we didn’t end up taking pictures of her idea. 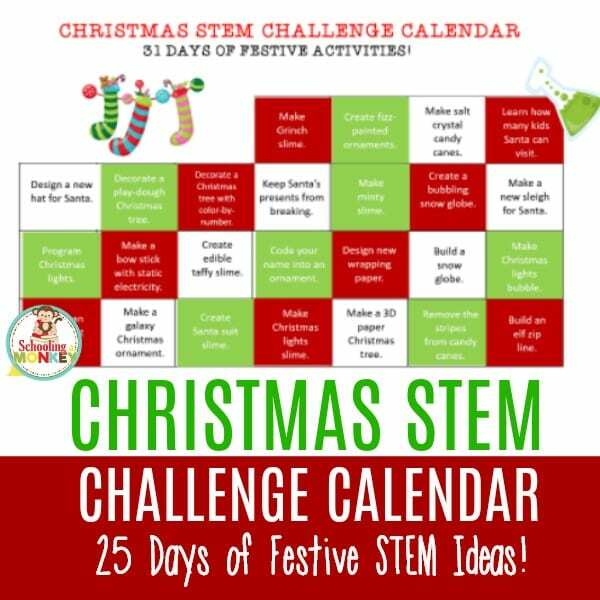 Get the printable Christmas STEM Challenge Calendar!